Virtual Reality is a natural progression of the way we interact or view the digital landscape on our TVs, mobile devices, or computers. With consumer interest in this particular genre increasing, we are looking at an increasing number of solutions enter the market, in particular VR gadgets for our smartphones. While most available options need us to really empty our pockets, there are some rather affordable options, but they remain clunky nonetheless. This latest entry on Kickstarter aims to prove otherwise. 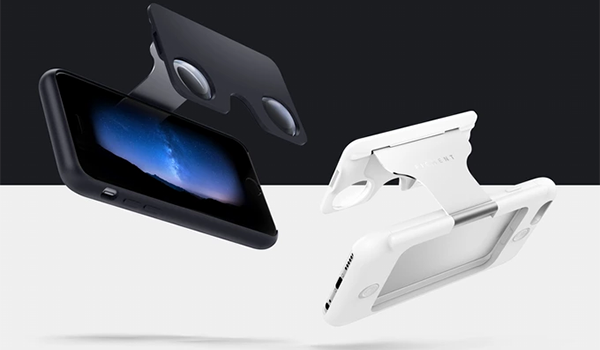 Enter – Figment VR, the iPhone 6/6 Plus and 6s/6s Plus case which also doubles as virtual reality viewer when needed, just like “pinch” case that we covered previously. If you’re looking at VR headsets for your smartphone but have budget constraints, the low end Google Cardboard offering is a pretty workable option but it isn’t exactly portable, and neither are the slightly costlier options. Figment VR is attempting to change all of that, with a design that sees the two lenses fold right into the back of the case, and propped up at the press of a button. Such a design makes sure that your phone is not only protected, but pocketable, be it your jeans, or a purse. The case has been made from durable materials and consists of 30 different parts. The case uses a mix of high quality plastic and 6000 aluminum series and has been cut and designed to precision. Pressing the two circular trigger on the back of the case instantly springs the goggles-like part right to the front of the phone. Folding it back into place is as simple pushing back on the goggles and clicking it back into place in the back. The case isn’t bulky at all, and has enough depth to keep the goggles flushed with the back. Additionally, Figment VR’s goggles can also serve as a kickstand when needed, adding further functionality in an otherwise non-clunky design. Figment VR is targeted for a $75,000 funding and has already managed around $7,000 with 56 more days to go. Currently targeted at the iPhone 6 and 6s series, the team behind the project has said that it may look into developing the case for additional devices depending on the response from the market. 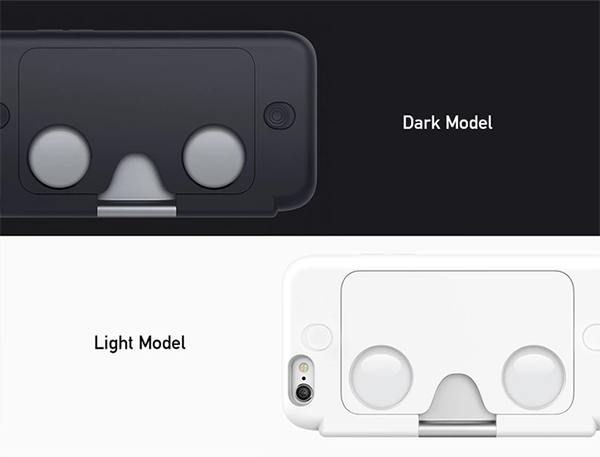 The case will be available in two colors: Dark (black) and Light (white), with shipping to start somewhere in early 2o16. 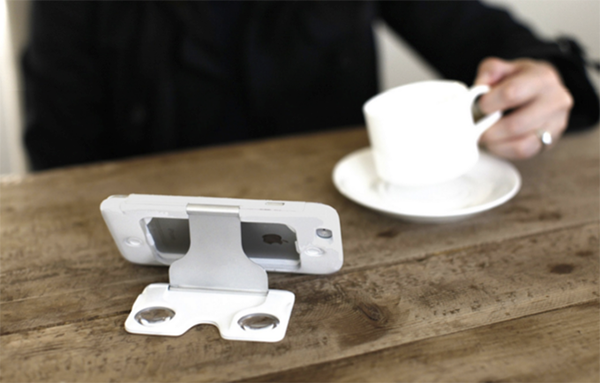 Retail price has been stated as $79, though early backers of the project will be able to own the case for $49 only. I had a lot of product ideas while I was stoned too.